The Mediterranean island of Malta ‘upped the anti’ in its challenge to become one of Europe’s best party destinations, with the conception of Malta Music Week in celebration of the Isle of MTV. The annual event is now considered to consist of laid back, effortlessly chilled days at the beach followed by pulsating party nights featuring various events from open air club nights, international Music Festivals, street concerts and the biggest free Concert in the Mediterranean. Many students who are staying in Malta to learn English find that the Music Week is a great opportunity to practice their newly acquired language skill. Maltese people are generally bi-lingual, which is very lucky for English speakers, in case you get stuck on the pronouciation!. 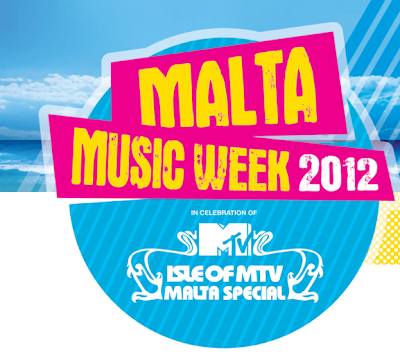 Malta is a one-stop shop for music and club-based breaks; this year’s Music Week events included an Ocean Drive set at Gianpula, Malta’s largest open air club; a rocking Roger Sanchez event at the former film set and Theme Park of Popeye’s Village, and the finale; MTV’s much-anticipated Malta Special. The tourist-friendly area of Paceville in Saint Julian’s, north of Valletta, boasts many clubs and bars. The majority have free entry and reasonably-priced drinks (especially local beer and wine); try the Skyclub nightclub for house and commercial music, Club Havana for hip hop and R&B, and the 121 Lounge for 90’s club classics. Festivities in the Music Week programme included a beach party at Golden Bay, where visitors can jet-ski and paraglide before chilling out beneath the sunset, and an open-air concert in the lively resort of Bugibba. There are quality restaurants and bars, and the resort feels safe – perhaps due to the country’s heavily-regulated drug laws. If you are a sun-seeker, Malta boasts almost year-round sun, and has some good beaches. Rock bathing on flat, coastal stone formations is popular; St Thomas Bay and Qawra Point are good examples. If you prefer the feel of sand to stone, try out Ghadira Bay, Golden Bay and Ghajn Tuffieha Bay which are really good beaches for partying and water sports. Mgiebah Bay and Paradise Bay are more secluded, and popular with snorkelling enthusiasts.